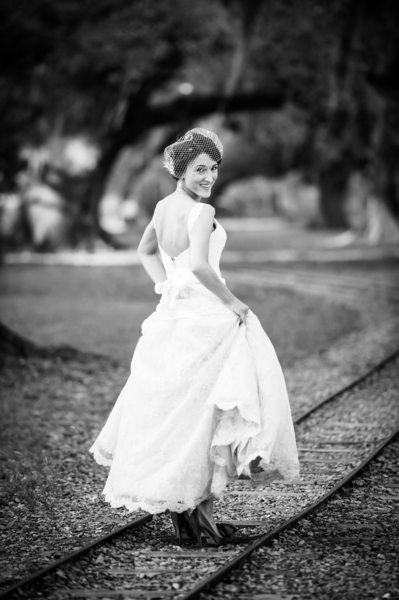 Bridal portraits are a southern tradition, and are typically done a month or two before the wedding date. 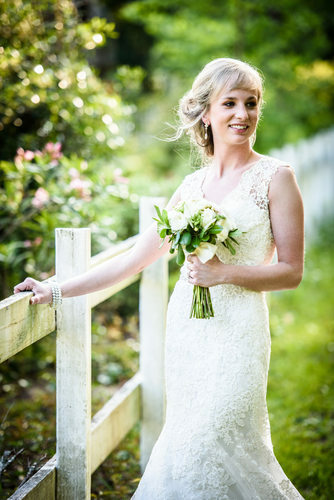 While photographs can be captured of the bride by herself on the day of the event itself, a bridal portrait allows for a wider variety of pictures with more location flexibility, less time constraints, and a more relaxed mindset than the wedding day might allow. 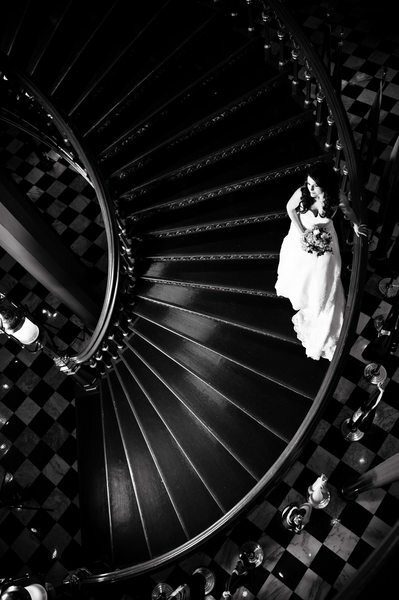 Some of the photographs in this gallery were taken during bridal portrait sessions, while others were taken just prior to or after the ceremony on the wedding day. 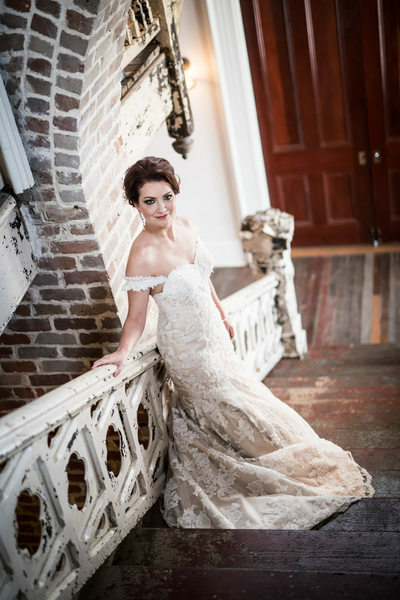 A bridal portrait session also serves as a great opportunity for doing a hair and makeup trial. You might have a pretty good idea of what you are looking for on the wedding day, but this gives you the chance to make absolutely certain it will be to your liking, and also offers protection against the remote possibility of allergic reactions to the particular type of makeup your artist uses, since it would be much better to discover this during the trial than on the wedding day! 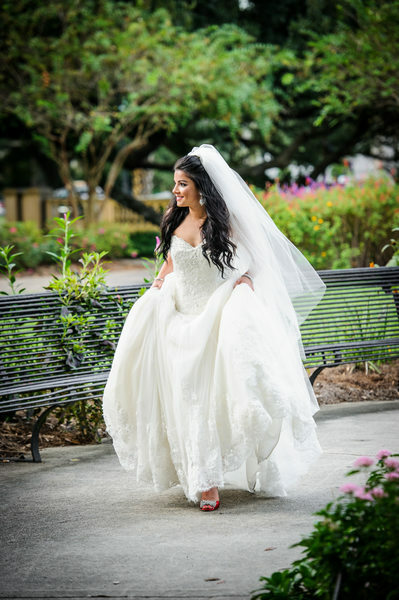 Some popular New Orleans locations for a bridal portrait session include Race and Religious, Audubon Park, City Park, Longue Vue House & Gardens, and the French Quarter. 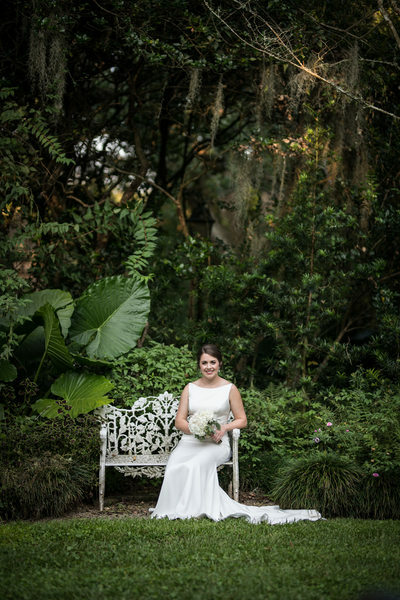 If you're willing to venture about an hour away, Oak Alley Plantation is another excellent choice, as are some of the other beautiful and scenic plantations that line the east and west banks of the Mississippi River. In some cases, you might even choose your wedding reception venue if it has suitable space that can be used, or perhaps a particularly elegant private home that you have access to. 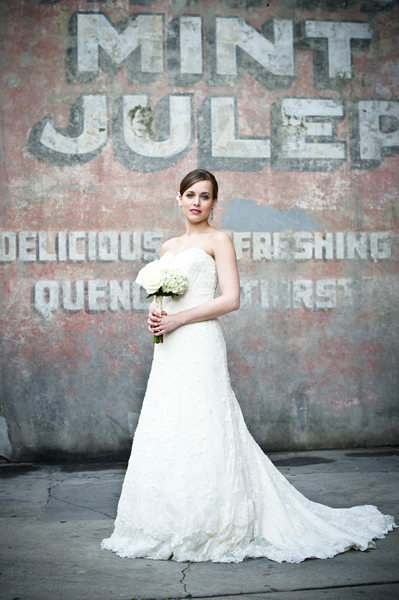 An excellent choice for an indoor bridal portrait location is Felicity Church in uptown New Orleans. First of all, having a helper (your mom, a bridesmaid, etc.) come with you is usually good idea, if for nothing else than to drive you to the location (I'd imagine that trying to drive while wearing a wedding dress would be quite difficult! ), though in some instances you may decide to change into the dress when you arrive, if the location has suitable facilities. This person can also help you carry and manage the dress, assist with hair/makeup touchups if needed, carry a bag with any necessities, and so on. 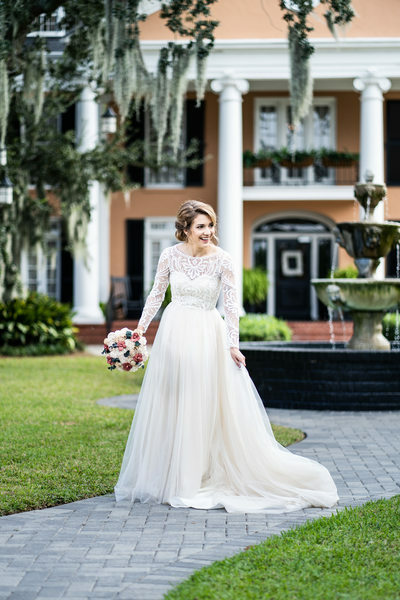 You'll want to bring a bouquet for this shoot. Though the portrait can be done without one, it helps with posing to give you something to do with your hands. Also, a white sheet is helpful in some circumstances. While we'll try to shoot in mostly clean spots, there may be some instances where a sheet under the dress can ease fears about it getting too dirty. It's also good to have on hand in case we decide to do a shot of you sitting on a bench. If the portrait is taking place during even a moderately warm time of year, you may wish to bring a small battery-powered handheld fan to keep your face cool. For some locations, we may be doing quite a bit of walking, so bring some comfortable shoes to change into as well, just in case. Once the images are edited a few weeks later, I will create a private gallery that is completely hidden from view (just in case the groom has prying eyes! ), from which you can order prints if desired. A framed enlargement (16x20 or so) is often displayed at the reception. You will also receive the digital files for these images. 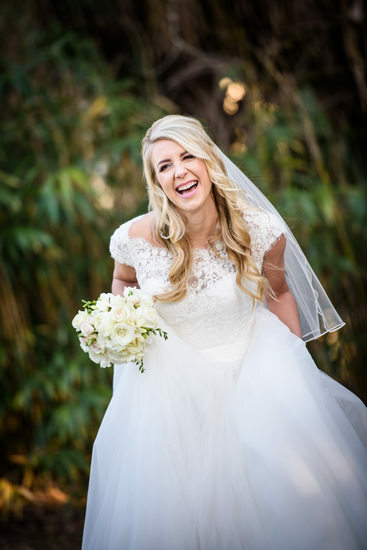 Though I do a blog post for almost every portrait or wedding I shoot, I do obviously refrain from doing so with bridal portraits until after the wedding.